My Dad requested a pecan pie for dessert at Christmas. 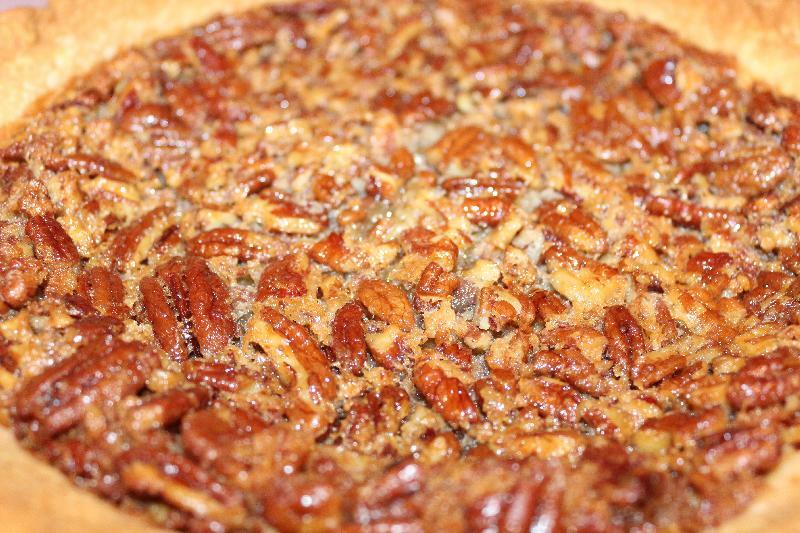 I have never even had a slice of pecan pie before, let alone baked one.. I must say it wasn't hard to make and it tasted pretty good. I found the recipe here. Preheat the oven to 350 degrees. Put the pie crust into an ungreased, regular 9 inch pie plate and flute the edges. Next whisk the eggs together, then whisk in the sugar. Stir in the corn syrup and the softened butter; mix well. Then add the flour and the vanilla; combine well and fold in the pecans. Pour into unbaked pie shell and bake at 350 degrees for about 55 to 60 minutes or until a knife inserted into the center comes out clean. About halfway through baking cover the edges of the pie with a pie shield or aluminum foil.